Many people already know Kami Sid as an activist who has worked tirelessly for the transgender community in Pakistan. 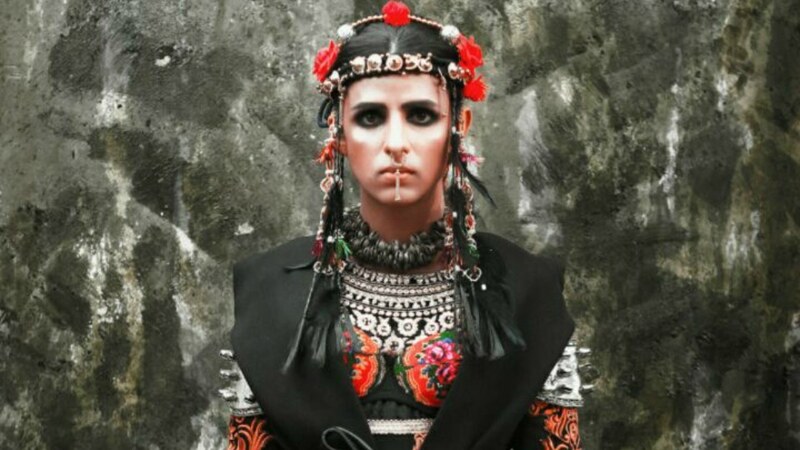 The social worker has now decided to step into the fashion world and become Pakistan’s first transgender model. In a photo shoot conceptualized by Waqar J Khan, Kami looks poised and elegant. “When Waqar, who is also a friend of mine, approached me to do the shoot, I was totally on board but unsure about how it would do. I just feel it’s a great platform and opportunity for me to not only explore my talents but also represent the transgender community with dignity in front of mainstream society,” shares Kami. The campaign highlights the importance of embracing and empowering transgender persons as productive members of society. Although Kami shares that her family was not too encouraging about her becoming part of the entertainment industry, she felt that it was the next natural necessary step. “I want to change the mindset of people in our society, so many don’t grasp what gender and sexuality is. I want to sensitize people regarding all genders. My family doesn’t support me in this endeavour but I feel people need to see us in the commercial fashion world, to create awareness. People know me as an activist but now, I can reach even more people as a model,” she says. More power to you, Kami!